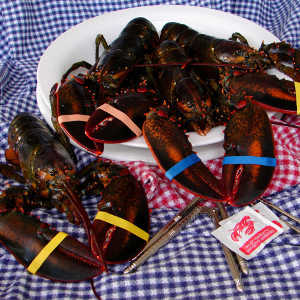 Buy Live Seafood Online from Woodman’s – Lobsters Shipped Overnight! Buy Lobster Online – Just a Click Away! You have come to the right place to buy lobsters online! Woodman’s sells only native hard shell lobsters, shipped overnight! Our commitment to quality has earned us the reputation of being one of New England’s premiere lobster delivery specialists. Buy live seafood online today!